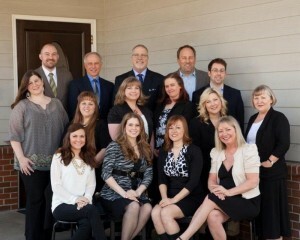 The Putnam Lieb Potvin team has more than 34 years of experience handling injury law cases in Thurston, Pierce, Lewis, Mason, and Grays Harbor counties. Attorneys at Putnam Lieb Potvin say that what happens immediately following an accident can make all the difference in the resolution of the case. A car accident or an on-the-job injury can transform a life from ordinary to nightmare in seconds. Not only does someone facing injury have to work hard to rehabilitate their body, they may also have to battle against insurance companies, or face mounting medical bills. “When people are in crisis they need to be taken care of quickly, and they need to know what they should and should not do,” said Kim R. Putnam, an attorney at Putnam Lieb Potvin. If the accident was due to negligence, what happens immediately after the accident can make all the difference in the resolution of the case. These steps are important for all types of injury, from auto accidents, to on-the-job workers’ compensation, and they can be small or large cases. Putnam also counsels not to discuss the case with anyone other than the attorney, physician and immediate family. “Any statements you make to others can be used against you later,” he said. What about signing claims or documents? “No. Discuss with your attorney,” says partner Wayne Lieb. He adds, “Keep records of any out-of-pocket expenses incurred. Keep a dated record of how your problems affect your life, and be aware that the defendant may hire someone to investigate your personal activities to determine the nature and extent of your injuries. “In addition, don’t wait and see how the insurance company or employer will handle your case before consulting with an attorney. Delays usually work against the victim, and in favor of the defendant,” he said. However, he notes that the statute of limitations for civil injury cases is three years from the time of injury. For a worker compensation case, the worker must file a claim within one year from the date of the injury. Injury law is different from other fields of law in that the attorneys are paid only if the case is successful, which is called the contingency fee. Their injury law teams consist of attorneys and highly experienced paralegals that serve Thurston, Pierce, Lewis, Mason, Grays Harbor counties, and beyond. At Putnam Lieb Potvin, a high staff-to-attorney ratio allows them to use this team approach to injury law. Every case has three people assigned to it – one attorney and two paralegals, each with years of experience. As soon as someone calls the office, they’ll talk to a paralegal. A meeting is set up as quickly as possible. “We evaluate the case from a liability and damages perspective. The team concept comes into play here. The team will get all the medical records up to that point. Another team member will get the police report, track down the witnesses and then interview them. Throughout this process, we’ll work with the doctors so that we understand the diagnosis of the condition and the prognosis. We’ll work with insurance companies as well,” said partner Kathy Potvin. The client is able to focus on recovery while the team takes care of the complexities of the case. “Our philosophy is that you have to work up a case with the intention of going to court. We’re very comfortable in the courtroom and this litigation experience and mindset contributes to our success. However, the goal is not to have every case go to litigation, but instead consider what offer is fair and what offer can make the plaintiff whole,” said Potvin. The team approach and philosophy both contribute to their success, but Putnam also credits success to the individuals that make up the team at the 34-year-old firm. “Our staff is phenomenal. They come to work here and they don’t leave. Many members of our team have been here between 18 and 30 years. I think we keep great people because we really care about each other and we care about family,” describes Putnam. An on-site nursery is part of the reason that turnover is so low at Putnam Lieb Potvin. 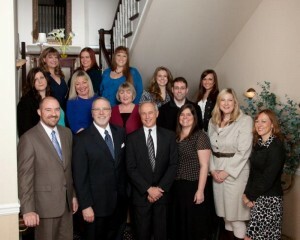 Many employees have been with the Olympia law firm for more than 18 years. Previous articleRussell Chiropractic Center Welcomes Jaron Banks, D.C.